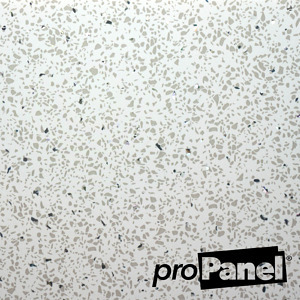 This is the white sparkle effect cladding from our range of best selling decor wall panels. These sparkle wall panels have reflective pieces throughout to generate a twinkle across the surface that looks great in any bathroom or shower. 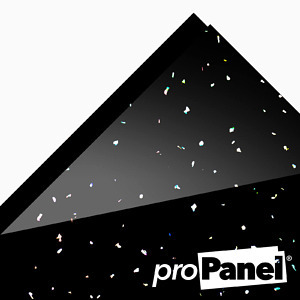 Mix and match with black sparkle wall panels for an even greater impact. 5mm White Gemstone cladding is one of our best selling plastic panels because they are lightweight and look great. With so many types of projects they can be used for, they are a safe choice for your bathrooms, walls and ceilings. With a subtle sparkle finish they reflect light well, making any room look clean and bright while adding a bit of character. Make a statement with black sparkle effect cladding from our range of best selling decor wall panels. These sparkle wall panels have reflective pieces throughout to generate a twinkle across the surface that looks great in any bathroom or shower. 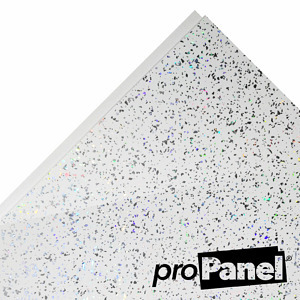 Mix and match with white sparkle wall panels for an even greater impact. 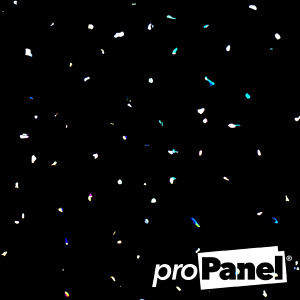 The platinum white sparkle cladding is a popular choice from the PROPANEL® sparkle cladding range of decor panels from . These sparkle wall panels have reflective pieces throughout to generate a intensive rainbow coloured glitter across the surface that looks great in any bathroom or shower. Any surface that reflects light can glimmer like a gemstone, now imagine this effect on your bathroom or kitchen walls, our premium Decor cladding range will add an elegant touch of sparkle to any room, it’s probably why it is one of our best selling ranges of cladding. They come in a variety of colours including the most popular, white sparkle and black sparkle. 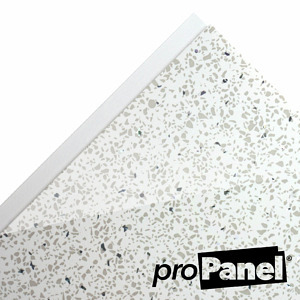 Our Sparkle cladding is a hygienic alternative to tiling while also being waterproof making it an ideal option for your bathroom and wet room walls. Like our other ranges our sparkle cladding incorporates a tongue and groove fitting system providing a smooth finish and an 8mm thickness for extra strength and durability. Sparkle cladding is perfect for a variety of situations such as many commercial settings, feature walls and backdrops in shops, salons or showrooms, really brightening up and adding that flare to your store setting, with a variety of styles and colours to choose from we’re confident you will find the cladding that suits the style you crave.